Off Wellman Way: I love Hawgs, Hogs, and I'm Really Warmin' up to Piggies! I love lambs, too! Cute post. I love Eirelys new friend the piggie. Where did you.....no, how did you get that cute leather tag at the bottom of your post? It is sooooo awesome! 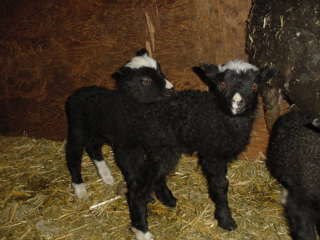 OH Man....those lambs and the little pig...too darn cute! 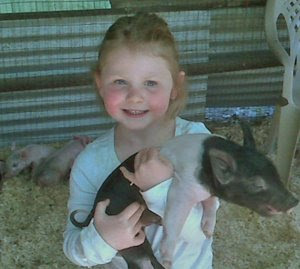 And the little one looks like she wants to be a farmer someday...but only raising them...not eating em!